Moving to a new house with a garden that needs whipping into shape? Need help with an idea for improving part of your established garden? Or maybe you want to completely overhaul your current plot and need a masterplan for achieving your ideas over a number of years? If you live in the Norfolk area and want to develop your ideas and design skills, in the company of like-minded people, I might be able to help. I’ve been running a series of short courses to inform, inspire and improve the design skills of gardeners for some years, and I’m planning to kick off the next one in a few weeks time. I’ve taken the opportunity of a new venue to review the content and programme of the course, also building on the positive feedback I’ve had from previous participants. I’m thrilled to be able to offer a course that’s based at the wonderful Blickling Hall Estate near Aylsham, and hope to take full advantage of it’s fantastic gardens to illustrate and reinforce some key ideas. And as well as visits to the gardens I’ll be using a combination of presentation, group discussion, one-to-one support, handouts, books to borrow and links to further information. 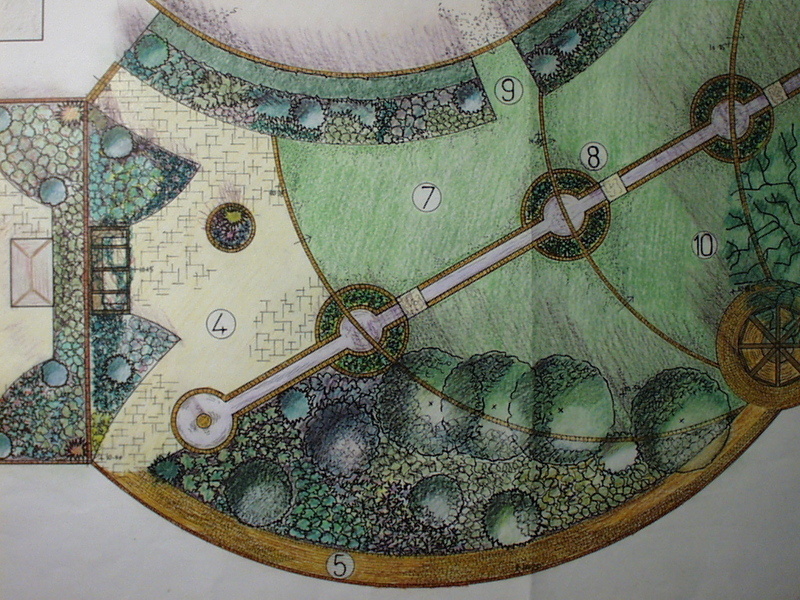 You won’t need any special knowledge or skills in garden design or gardening; just the germ of an idea or plan for your garden, or maybe just a general interest in finding out more about garden design. For an outline of the Programme take a look here. If you want to find out more about me then take a look at the Page ‘About Me’ on this blog. If you’d like to discuss the course, how it might meet your needs or want to register, please call me on 01603 754250, or leave me a message via the contact form below. I want participants to have the space, time and attention to address their individual needs, so places will be limited; if you’re interested, please get in touch soon! Many plants cannot tolerate damp, dense shade. But do not despair if your garden has a boggy, dark corner; one group of plants – ferns – relish such a site. Ferneries were popular during the Victorian era so you can create a period piece at the same time. 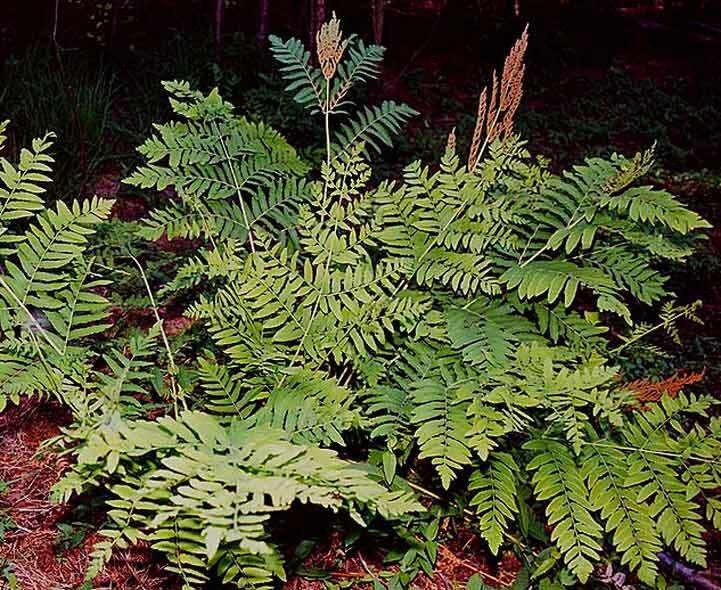 Choose hardy ferns for example Royal Fern (Osmunda regalis) and the sensitive fern (Onoclea sensibilis), for the boggiest areas, and Aldiantum venustum – which needs neutral to acid soil- on slightly drier land. Dig rotted manure or compost into the soil before planting. Then enjoy the tender green and bronze- red young leaves, unfurling into rich green mature foliage. A statue, pot or some other hard landscape feature can be used to provide a focal point; something to draw the eye and give a sense of unity to the front garden. Alternatively, box topiary shapes or other bold ‘architectural’ plants can fulfil this role and can be relatively easy to maintain. Likewise, planting groups of the same plant can be used to create a series of ‘green’ focal points. Another idea is to create a feature such as a rockery that will be seen from the roadside and combines both hard and soft landscaping elements. A path to the front door is a central feature of most front gardens. By laying this diagonally across the plot an illusion of depth can be created. If your plot is relatively small and your path from garden entrance to front door has to be primarily fucntional, they should take the shortest route if they are going to be used by casual visitors. However, they can be made to look more attractive by introducing gentle curves or by by using a mixture of path surfacing materials such as brick and stone. But don’t use more than two or three different materials as this can cretae a fussy, disjointed look. 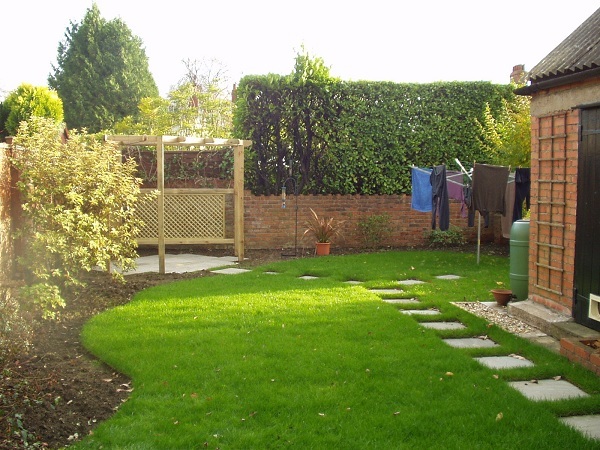 If your plot is larger and you can fit in a second path which has a mainly decorative role, this can be routed to meander through the garden and provide easy access to each part of the plot; it could be a continuous ‘snake’ of paving or stepping stones, or a combination of both. Don’t underlay gravel with different coloured or shaped chippings, as over time these will rise to the surface and the result will look ugly. Try to avoid using impermeable materials for vehicle hard standings (there are now regulations in place about this) and if you do have large hard surfaced areas use planting pockets to break these up- a car can easily pass over low growing plants. Drought- tolerant shrubs such as Hebe and Choisya help to squeeze out weeds, so helping to keep the front garden looking tidy. Plant tough plants at the edges of drives such as ornamental grasses, heathers or creeping thymes, which will survive an occasional clipping by a car tyre. Use creeping plants near to the edges of the garden to create a natural look. Abide by the law if you are thinking about some more major changes to your front garden e.g. if you are putting up a wall or fence adjoining a public road that is higher than 90cms or hedges in such locations. You need to contact the local authority before putting in solid boundaries and may be asked to cut back hedges that interfere with sight lines. Likewise you need to contact the local authority if you plan to put in a vehicle ‘crossover’ over a public footpath and if you want to cultivate any grass verge outside your house. Have you got an exposed garden? In these sites- especially on hillsides or in coastal areas- wind can cause more damage than frost or cold. Think about the best ways of providing some shelter. A solid wall or fence can make wind eddy over the top and can cause strong back-drafts on the leeward side. Instead, filter the wind to slow it down with a hedge or artificial wind break, which will give useful shelter for a distance about ten times its height on the leeward side. Another option- if you have the space- is to plant a shelter belt of trees. If you have views out from the garden that you want to preserve, try creating ‘windows’ in a hedge or other barrier. Problem: Wind slows plant growth by increasing water loss through evaporation. This can significantly reduce the yields of vegetables. Tip: protect the vegetable plot with wind break netting or a natural barrier like a hedge. Problem: Pollinating insects avoid windy areas. 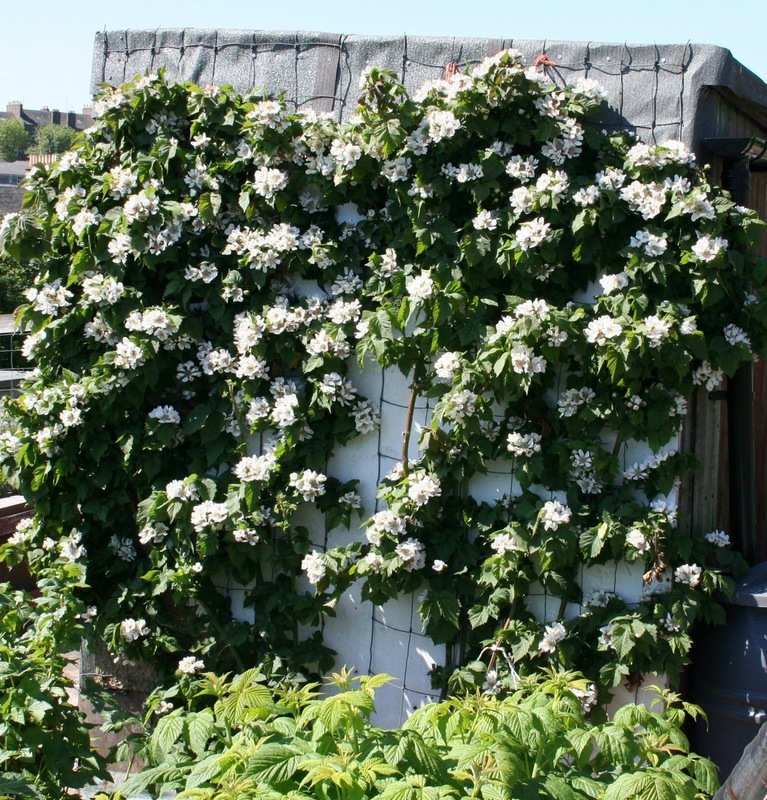 Tip: To get good pollination of fruit crops grow them against sheltered walls. Problem: Plants with big leaves and those that come into flower early in the season are more vulnerable to wind damage. Tip: Avoid growing such plants or place them in sheltered spots. Problem: New plants, particularly evergreens, are especially susceptible to wind damage. Tip: Protect these plants with wind break netting until they are well establishes and keep all new plants well watered. As trees tend to be the largest and longest lived plants in the garden, they should be one of, if not THE first item to consider when designing or redesigning your garden.They rank alongside some of the hard landscaping elements (seats, arches, pergolas, arbours etc.) 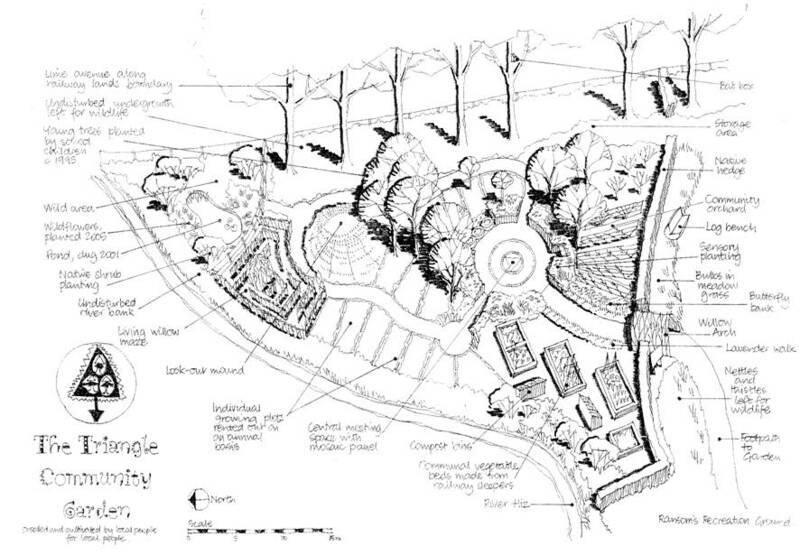 in helping to provide the ‘bones’ or structural framework of a garden i.e. the structure by which we navigate ourselves around the plot both visually and in terms of guiding our movement. Shrubs (especially evergreens), provide a similar service and should be thought about in conjunction with whether, where and what sorts of trees to include in a design or redesign. Trees also offer a range of other potential sources of interest in a garden apart from their overall shape or form; leaf size shape and colour (which may vary from season to season), bark (colour, texture or special effects such as peeling or patterned), flowers and fruit (catkins, conkers, apples and so on). In visual terms the planting of a tree or trees can have a dramatic effect on the layout (or form) and perspectives around the garden. They can be used as a focal point to draw the eye. This includes those planted as a ‘specimen’. Those planted in the foreground or middle distance help to increase the sense of depth or perspective in a garden, while those planted further away help to give a sense of scale to the overall space. So, in a small garden a large tree in the foreground and a small tree at the end will make the garden seem longer. Leaf size and texture is another important consideration. If you want a strong shape to provide a key structural element all year round in the garden, then go for small leaved, evergreen varieties with distinctive shapes or which can be pruned (topiarised) into these- e.g. Box. Why not take a look at your garden and ask if you have one or more trees that aren’t in the right place- are they are too tall, too broad, drying out the soil or causing shade where you don’t want it? Perhaps removal or pruning is the answer. Could you introduce a tree or two and help to strengthen what your garden has to offer- providing food or a home for birds, for example or adding a brilliant show of flowers or autumn leaf colour? Traditionally we seem to have used trees in gardens as stand alone ‘specimens’, often in an island in the middle of a lawn for example. Today, with the wide range of trees available and with characteristics that suit almost any situation, its possible to be a bit freer with how we use them- in groups or among other planting in borders. If you are using a tree as a specimen think about its positioning carefully- if it’s planted by itself without any surrounding planting to soften its impact, it will be a focal point from the start, and as it grows bigger this impact will become even more pronounced. If planting several trees together, including adding one or two to an existing group, think about their ultimate height and spread. As in nature, some trees grow well together; eg. Betula pendula, or ‘Silver Birch’- see my recent article in the A-Z of Trees series. The wild cherry (Prunus avium), is another example. So as with any other tree planting think carefully about their ultimate height and spread and allow room for them to grow. If you want to give a denser appearance in the time it takes the trees to mature, try growing them closer together, but expect to remove some as they mature to allow the remaining ones to grow to full size. When planting more than one tree together in an area of grass, the relationship of one to another will determine the effect and this can change depending on where you are in the garden. A good idea is to use large posts or bamboo canes to mark their positions. Try out different positions to see what effect you like the best. Look at the positioning from different places, including from inside the house. and remember to think about their ultimate height and width and what they might obscure or hide. 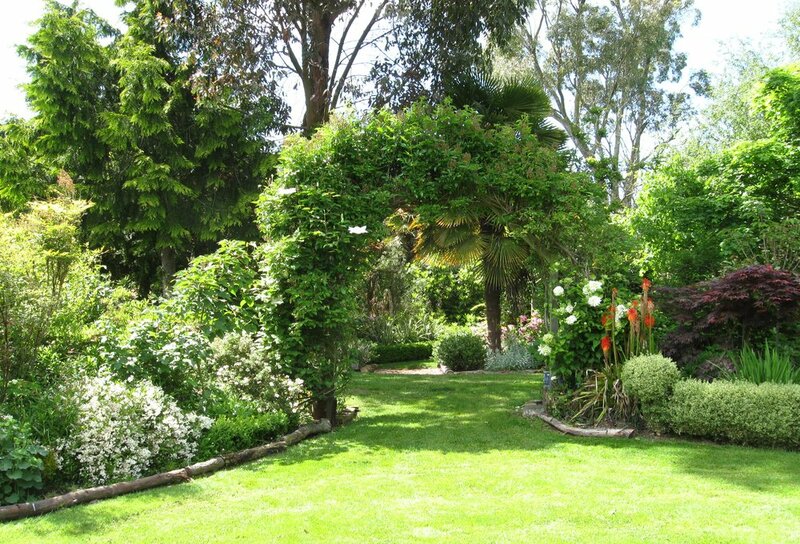 We tend to think short term when it comes to gardens- we want immediate impact or effect. The danger here is that you’ll end up with something that outgrows its space and gives you problems- a classic example is the Monkey Puzzle tree (Araucaria araucana) that was planted in the front garden of a Victorian terrace house or villa and is now way too large and tottering precariously above and perhaps towards the house! So the speed of growth is also a consideration; very slow growing trees may take 30 years to have a significant impact, so if you want an impact over a shorter period than this, then that’s perhaps a good choice. If you have a relatively small garden, don’t think that you can’t have any trees. Smaller varieities of many different types are often available, and by choosing trees that have a more conical or upward habit you can achieve an impact without having a major loss of garden space . Planting trees too near to buildings is another common problem. Some have relatively compact root systems ; e.g. Birch (Betula), Sorbus, Hornbeam and Magnolia are good examples and rarely cause problems. However trees like Willow will seek out water and their roots are liable to invade drains if planted close by. If an existing tree is of concern seek the advice of a qualified tree surgeon. and if you think a tree may be subject to a Tree Preservation Order, make sure you consult your local authority before doing anything to affect it. And always consider your neighbours- trees planted close to boundaries may look good from your side of the fence, but think about what impact the tree is going to have on your neighbour’s garden and house. The inconsiderate planting of hedges of Leylandii conifers is the most familiar example of the wrong species being chosen to achieve rapid but usually unattractive results. Left to its own device this tree will grow to well over 100′ high and it looks superb, so don’t expect it to enjoy continually being hacked back! 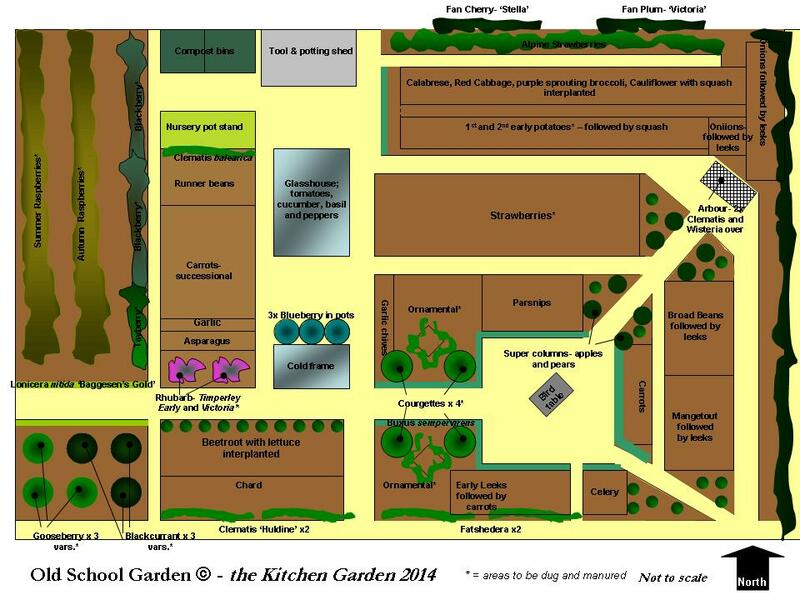 Well here it is, my plan for the kitchen garden here at the Old School. I’ve reviewed last year’s results and have tried to rotate crops as well as introducing more variety and greater successional cropping. This approach will, I hope, help me to avoid gluts, reduce the overall level of food and waste, while at the same time increasing the range and the ornamental value of the area through introducing more perennial and annual flowers. I’m also going for some ‘heritage’ varieties- squash, cauliflower, leek, pea, runner beans and beetroot. Most gardens play an important part in promoting biodiversity and maintaining ecosystems – vital if we are to have a sustainable planet. You might want to further enhance your garden’s ecological value, or perhaps promote wildlife to help pollinate plants (important if you want to gather your own seed and/or are growing your own food) and to help control unwanted pests. Promoting wildlife is also a way or enriching the garden experience – just think about birdsong, the buzzing and gentle flitting of bees from flower to flower, the colourful displays of butterflies and the fascinating movements of the myriad insects and other ‘critters’ out there! So how can you ‘design’ wildlife into your garden and gardening activities? First it’s important to recognise that you and your friends and family are also going to use the garden, so there’s no need to ‘go completely wild’ and make it unpleasant or difficult for humans to use the garden. In fact the best designed and managed gardens (and often the most beautiful) can also be the best for wildlife. These are the places where nature has not been allowed to take over. You can ‘tip the balance in favour of wildlife’ in a number of ways. If you have a large garden you can adopt a ‘conservation’ approach and set out separate areas to attract and support different types of wildlife. If your garden is smaller, you can provide a range of features for the wildlife species you want to encourage. This approach is especially important if you want to actively harness nature to control pests. Bird feeders need to be out of the reach of cats! 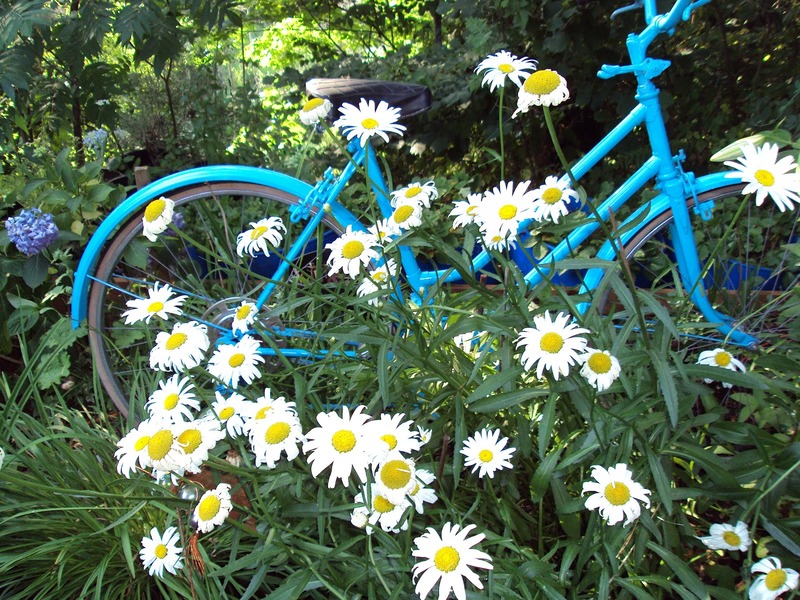 Build in some key features, such as…..
Wildflowers, grasses, weeds- these attract butterflies and many other insects. Nettles are important hosts for species that aid a healthy garden; butterflies and ladybirds. Maybe you can grow these in a container if you don’t have the space to leave patch in the garden? Climbing plants- they provide food and cover for birds and food for insects and butterflies. Examples include Ivy, honeysuckle, quince, wisteria, clematis..
Compost heap – provides both food for the soil and home for minute insects and other ‘mini beasts’ which feed birds, hedgehogs, toads. It also acts as a possible nesting place for hedgehogs, toads and slow worms. ‘Bug hotels’ can provide a ‘man made’ substitute for the above, and are good fun to make with children. My previous post set out the background to the growth in popularity of grasses as border plants. I’ve come to appreciate their simple beauty and the way they can add a different dimension to the traditional herbaceous and mixed border and at the moment some of them are looking great in Old school Garden, especially as the low autumn sun catches their golden stems and heads. So what are the ways you can use grasses to best effect in your garden? They contribute in a number of ways – texture, light, colour and as structural elements in your overall garden framework (and some sound lovely as the breeze finds its way through them or their seed heads are rattled like mini maracas). Here are some thoughts gleaned (no pun intended) from the very useful book, ‘Grasses’ by Roger Grounds. With other grasses that have different leaf form; e.g. the narrow leaves of Miscanthus sinensis ‘Gracillimus’ with the broad bold leaves of Arundo donax, or the wide, short leaves of Panicum alopecuroides. At the front of borders to act as ‘veils’ through which other plants or a more distant landscape can be revealed. Annual grasses- complete their growth cycle in one growing season. Hardy varieties can withstand frost and most can be sown in autumn to over winter in the ground and germinate in spring. Tender grasses need to be sown once all risk of frost has passed. Many of these are perennial in frost-free climates. Position grasses to catch the sun, preferably against a dark backdrop to ‘light up’ the wider garden. Associate grasses with seasonal changes in perennials and foliage; e.g. in spring the foliage of grasses is more prominent so think about using bold coloured grass leaves as foils for spring flower colour- the yellow of Bowle’s Golden Grass with the blues of Bluebells for instance. Cool season grasses- these start into growth in autumn, grow through the winter and flower in spring or early summer. Best planted among winter or spring- flowering perennials. Plants grown for their foliage, or among spring and early summer bulbs. Most then become dormant/semi dormant and so can be planted where summer flowers or other grasses can grow up to conceal their faded foliage. They can be divided or transplanted in spring or autumn. Use the ‘washed out’ or subtle colours of grasses as a counterpoint to the richer colours in surrounding plants. Grasses with coloured leaves can be used to reinforce a particular colour theme- reds with reds, blues with blues etc. As they last longer than many of the flowers around them, grasses help to maintain continuity in colour themed borders. Blues from grasses such as the varieties of Panicum virgatum, reds from Imperata cylindrica ‘Rubra’ (Japanese Blood Grass) and the yellow of Hakone grass (Hakonechloa macra ‘Aureola’). Yellow is the dominant colour of many grasses’ flower panicles, especially as they fade and the seed heads ripen to shades of amber, straw and gold. Grasses look best when grown in groups of three or more- though few gardens have the scope for mass planting. They can also be effective as specimens. 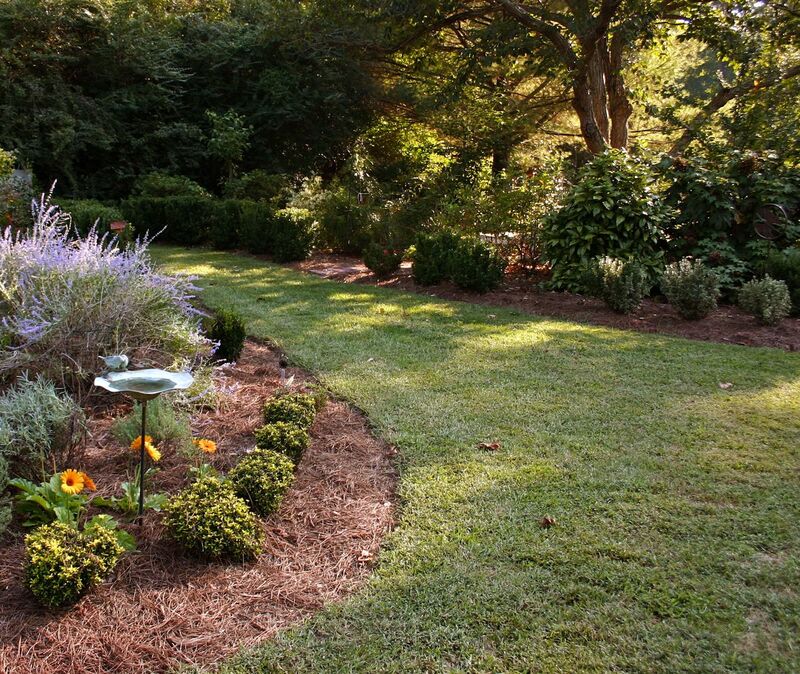 Grasses planted as masses or groups should be spaced closer together than in smaller groups. Many low growing grasses make excellent ground cover, and this can be an effective way of massing them in smaller gardens. 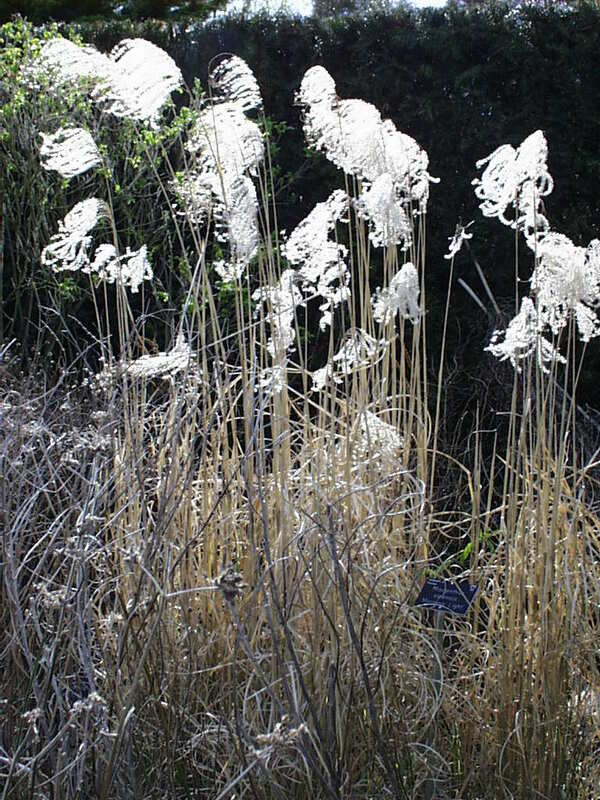 Taller grasses, or those with strong colouring can act as successful specimens or ‘markers’ in a garden, either planted by themselves or as accents in a border. Clumps of grasses can have a similar impact if planted to contrast with other surrounding grasses or plants. More subtle ways of creating a focus include using grasses with distinctive flower or foliage forms; e.g. Calamagrostis brachytrica with its elongated ovoid flower panicles. A repetition of specimen grasses in a strict rhythm along a border – especially if placed towards the middle of front of it – will impel the eye along its full length. A similar effect, but with less impact, can be achieved with taller grasses placed at the back of the border; e.g. Stipa gigantea. Warm season grasses- these do not start into growth until late spring or early summer, so they are best planted among other perennials or shrubs that flower from midsummer to autumn. They can be left standing through winter to provide interest- especially when they are covered with raindrops, dew or frost. They should be transplanted or divided in early spring, once they have started into growth. Think about the ‘plant partners’ to go with your grasses, and use the key features of both to complement each other at different times of the year. For example combine a range of strong flower forms which use the structure of grasses to greatest effect; Umbellifers like Anthriscus; Spires like Veronicastrum virginicum; Ball-like or pincushion flowers like Echinops and Knautia macedonica; loosely structured heads like Astilbe; daisy-like flowers such as Rudbeckia. If possible go for those with the longest flowering period. Use grasses in special sites; e.g. as part of a meadow; as a larger scale ‘prairie’ planting or border; in woodland or shade; at the water’s edge. Sedges, Rushes and Cat tails – though they generally look like grasses, these plants have taken a different evolutionary path and so vary in leaf and flower details, and also their growing needs. Sedges are large family of diverse plants, mostly from the cool temperate regions, enjoying cooler and damper conditions than most of the true grasses. Rushes are a smaller family with few garden-worthy plants though the woodrushes are often decorative as well as useful, for example as ground cover. Cat tails (or reedmaces or bullrushes)are a single genus family with aquatic or marginal plants that have conspicuous flower heads.